Mardi Gras, Fat Tuesday, Pancake Day, Shrove Tuesday – that’s today! I had many ideas of what I wanted to make for the day. I thought about pancakes and thought about beignets. I decided to be practical though because what I really needed was dinner. 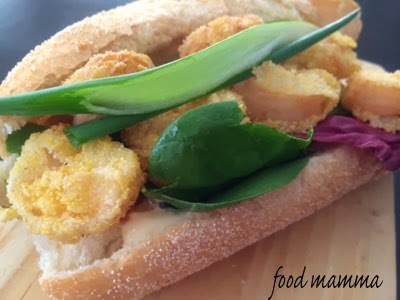 Mardi Gras is largely associated with New Orleans so what better way to honour it than with a classic – Shrimp Po’ Boy. 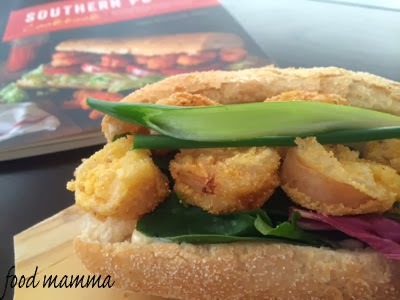 I found a fantastic recipe in the cookbook “The Southern Po’ Boy” by Todd-Michael St. Pierre. With activities every evening, I didn’t have a lot of time but luckily this recipe was easy and didn’t take long at all. 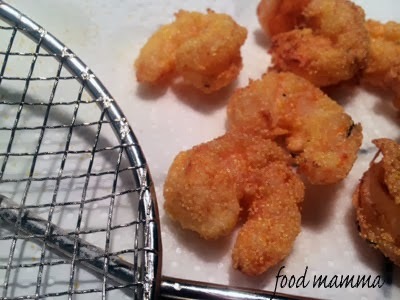 The cornmeal added a nice crunch to the shrimp. We used crusty rolls, spread with mayo and sriracha, and topped with lettuce, green onions and the crisp shrimp. Q’s reaction when he took a bite….”Mamma, this is not good….this is awesome!”. So awesome in fact that he came home after martial arts and asked for more. Yay! Make a spice mix by whisking together the salt, cayenne, garlic powder, paprika, oregano, thyme, black pepper, and onion powder in a small bowl. 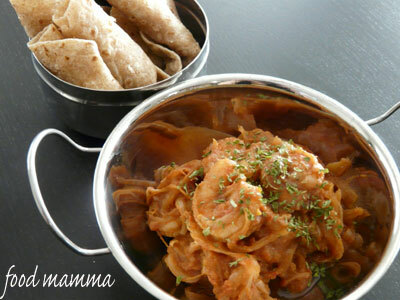 Place the shrimp and 1 TB of the spice mix in a large bowl, sprinkle over the shrimp, and toss to coat. Pour the buttermilk into a medium bowl. Whish together the flour, cornmeal, and remaining spice mixture in another bowl. Dip the seasoned shrimp into the buttermilk, then coat with the flour and cornmeal mixture, tapping off the excess. Working in batches, fry the shrimp until golden brown, about 4 minutes per batch.